This series has all of the networking outcomes you look for in our events, but with the added component of industry insights program presented by a Chamber Member. We are enhancing opportunities for our members to build deeper relationships with others within their industry and folks in new industries they're looking to connect with and learn from. 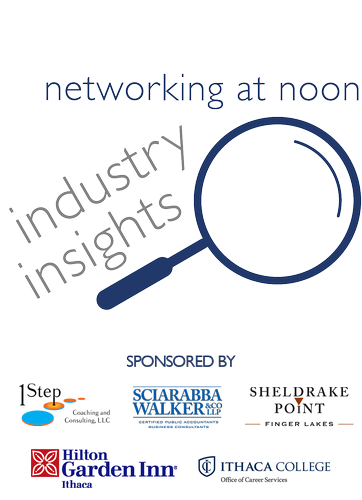 Join us on Thursday February 28 from Noon - 1:30 pm to hear about industry insights with Perry & Carroll. Perry & Carroll will offer insights into changing policy, including the new Sexual Harassment policy, that may affect your business. Perry & Carroll protects their clients through sound advice, quality insurance products and uncompromising customer service. Networking at Noon events are open to folks in all industries. We seek to host a diverse cross-section of all of our members, and can answer any questions about the event or the series at your request. Our goal is to provide an interactive space where attendees both within and outside of a certain industry can get to know each other and walk away with actionable industry insights. Please comment to Steph Bailey with any dietary restrictions.